This map shows territory of Argentina, of Chile. You can find here town Lago Puelo download for free. You can find here town El Maiten download for free. You can find here town Hoyo de Epuyen free download. Displayed Rio Puelo presented. Lepa for Garmin. On this map Leleque marked. On this map La Bolsa marked. 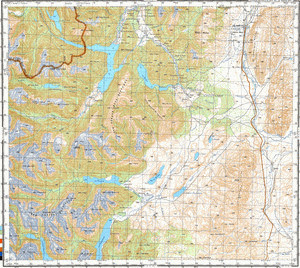 On this map Golondrinas download for free. You can find here Epuyen marked. You can find here El Rincon marked. Displayed Cholila marked. You can find here Buenos Aires Chico download for free. Displayed Lago Puelo (pueblo) download for free.